In this game there is a perspective drawing of four square boards or planes displayed on the screen, which is intended to create a three-dimensional effect. Each board is a 4 x 4 grid. The object of the game is to place four X's and for O's in one horizontal, vertical, or diagnol row. To do this you may use on plane or all four planes. You must place four markers in a row before your opponent does, or before the computer does, to win. There are nine games in all. 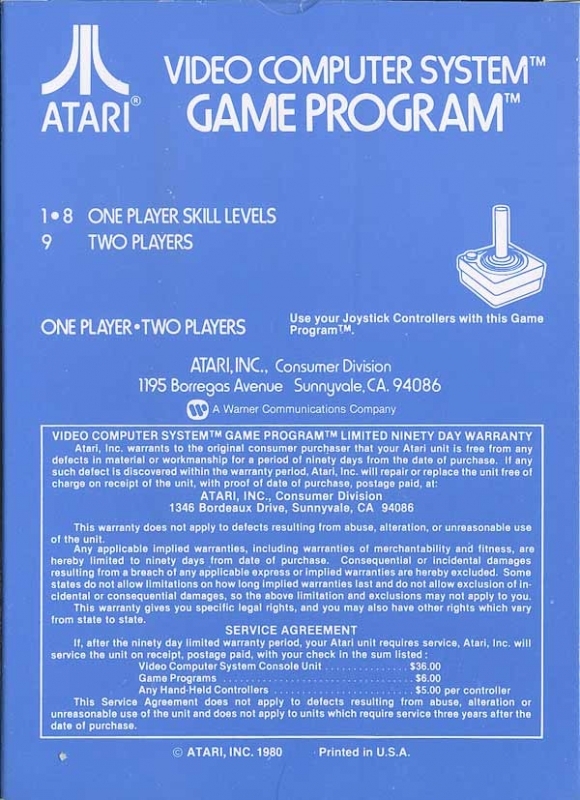 The first eight games are for one player competing against the computer. Each game number (1-8) is a progressively harder skill level. Game 9 is for two players.